The D-Reaper is where it’s at. It’s a personification of death in a children’s show. After the disappointment of the first Digimon Adventure, I just hoped this will be good enough until that arrives. I did not expect it to be this subversive, well-written and exciting early on. 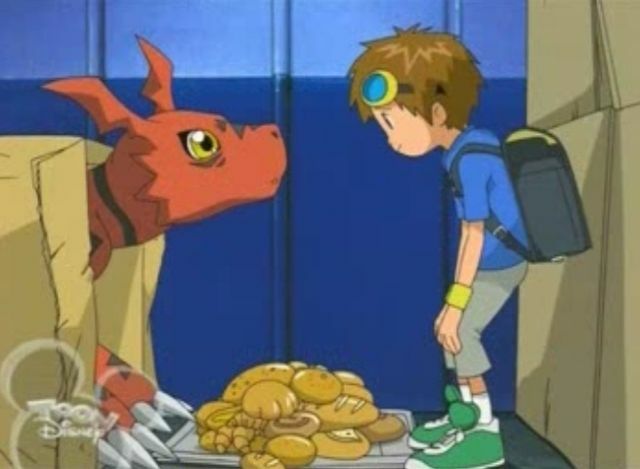 The original Digimon Adventure was very basic. It was all about becoming more powerful to defeat a senseless enemy that wants to destroy in order to destroy. They somehow managed to drag it for 50 episodes. It’s a remarkable achievement for such a thin premise where even the action is unexciting. Throughout the first arc, Tamers constantly questions it. We get Villains of the Weak whose sole purpose is to be defeated, but they are not the center. It’s Yamaki and Impmon – two characters closer to being antagonists – that define this series. Yamaki is first seen as an evil, detatched Government Agent who wants to destroy Digimon because he’s cruel and wears a suit. Very early though, it’s shown he’s more than that. Yamaki is not villainous. He’s a person in need of control, but because he sees what chaos does. The Villains of the Weak wreck havoc and cause nothing but panic. It’s only logical to want to stop them. He’s not like the kids, who got their Digimon and felt like their dream was coming true. He views things from a wider, but more detatched angle. He sees all the havoc that’s going on and doesn’t mind to hurt a few kids’ feeling if it means peace to everyone else. But Yamaki is a person who wants control so much that this desire controls him. He tries to tighten his control more and more, moving from observing to trying to destroy to trying to eradicate all Digimon. Yet his own technology spins out of control, just like the Digimon are a technology that’s gone out of control (doesn’t it happen all the time?). Yamaki eventually breaks down and even gets a little violent. But what makes it so powerful is not because his violent reaction is cruel (it’s not), it’s because we’ve come to see Yamaki is like us when things go out of our control. Impmon is another case. Impmon is a person who found out he doesn’t fit in society. He had his chance, but he couldn’t do it. So now he tries to live outside of it, bragging about his independence and not being a slave like all the Digimon. He’s like that kid who made fun of you for being a slave for Pop music, when his whole existance is letting people know how special he is. Impmon doesn’t live outside of human society because he relies on their feedback. He pulls pranks and scares them for fun. Without humans to be scared of him, he’s nothing. He’s an Antichrist Superstar, a person who couldn’t fit into society yet can’t live outside of it. Like Manson’s character, this leads to a desire for power to overcome this. Impmon can’t help but feel weak. His pranks are nothing but a nuiscance. As the series goes on, Impmon realizes how pointless his whole quest is. He’s starting to reconsider his worldview, but not his hatred for humans. He sees the hero’s Digimon evolving defeating enemies, and he mistakes that for success. Since he has no alternative to society, all he wants is to destroy. This is developed further later in the series, but it’s hinted at early on. Impmon isn’t a buried gun that plays in the background until the series needs him. His downward spiral already beings. These are the first of many breakdowns that this series will feature. It’s shocking at first to see it in a kid’s show. That’s why it’s brilliant, though. It creates characters and puts their worldview through challenges. Call Mushishi mature all you want because it doesn’t have fighting, but Mushishi never puts his characters through these breakdowns. The whole idea of power, which the original Digimon and many shounen shows rely on is put into question. Digivolution is not plain getting stronger. 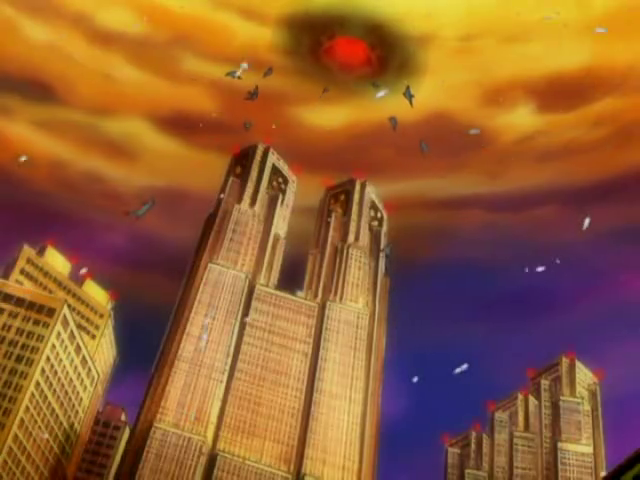 The power it gives the Digimon is violent and destructive, and you can’t stay indifferent to it. I remember the first time I held a gun and how it felt. Power does change people. We all think of changing our environment, but when we’re given the means to do it that’s when we start taking it more seriously. The series gives us three different viewpoints. Takato is a naive kid who, if he’s going to fight will do it for fun. Henry is a pacifist who can’t unsee the harm violence does to others, even when they’re enemies. Rika is a subversion of the Shounen hero. Ash Ketchum wanted to be Pokemon Master. So does Rika, only for Digimon. It’s a violent path to mastery. Gargamon’s Digivolution illustrates this best. It’s a shocking episode, one that takes the first series and flips it on its head. Getting stronger, instead of solving the problem creates a worse one. 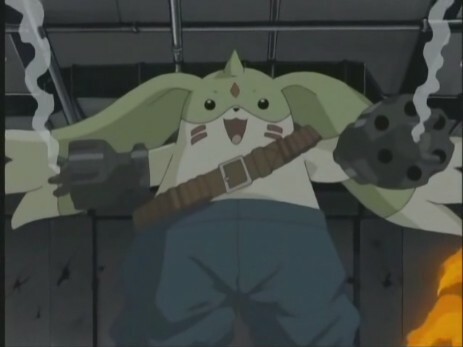 Gargomon has a great design. He’s cute and cuddly, but instead of arms he got two revolver barrels. The series acknowledges these weapons were meant to hurt. How many shows question violence like this? While these characters don’t experience the serious breakdowns of Impmon’s and Yamaki’s, their viewpoints are constantly being challenged. Henry’s pacifism, Rika’s bullying ambition and Takato’s naivety are all put under constant testing. This will get more serious as the show goes on. 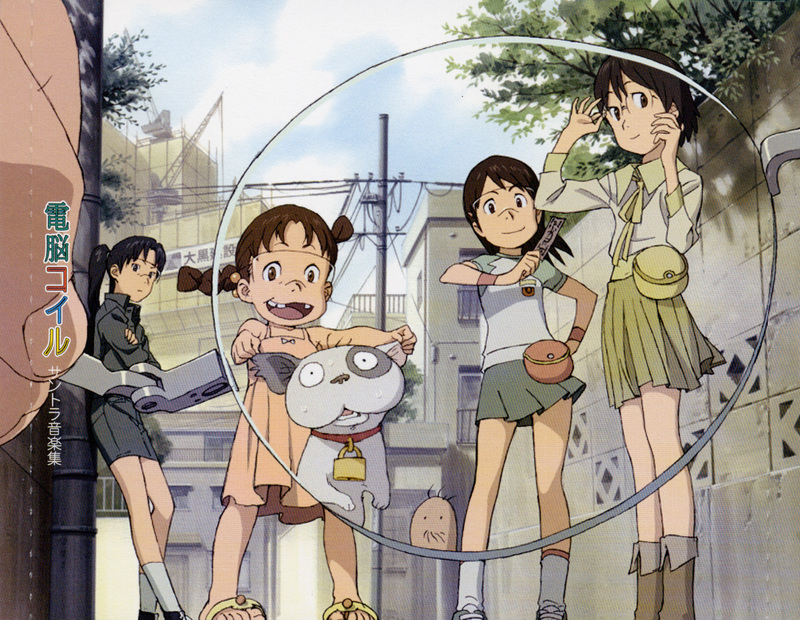 Already in the beginning, though, Tamers is brilliant. It makes it look so easy. You don’t need realistic art or no fighting to have a ‘mature anime’. Just continue to test your character’s worldview.